On Saturday 15th October, on a wonderfully bright autumn day at the Royal Military Academy Sandhurst, hundreds of cadets from all ten UK sporting regions gathered to compete in the national ACF swimming championships. 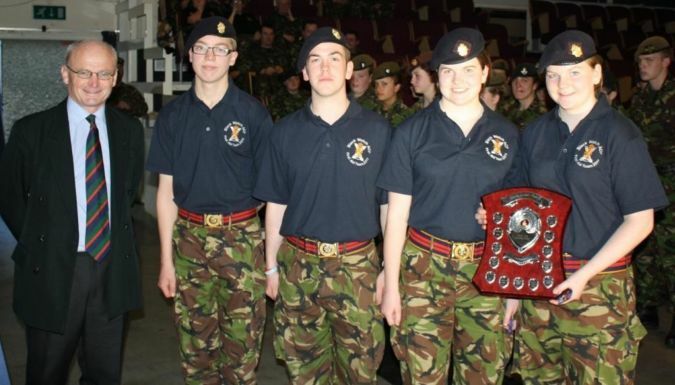 Several records were broken; two cadets each broke two records (Vickers and Wray, both from Eastern region). Scotland (51 Bde) provided strong competition throughout the event followed closely by NW and SW, but Eastern (49Bde) proved, as they do so often in sport, to be the dominant sporting region, winning by over 50 points from the next team. The event was managed for the first time by Hants & IoW ACF and in particular by Lt Col Andy Dawes. It went spectacularly well largely through their efforts.